Hedge fund billionaire Ken Griffin, the founder and owner of Citadel, has just snapped up the most expensive home ever sold on the U.S. market for a cool $238 million. Griffin’s purchase of the New York penthouse that overlooks Central Park underlines his love for real estate, and adds to his portfolio of more than $700 million worth of global real estate. The property is also another record for Griffin, who previously purchased the most expensive homes ever sold in Chicago and Miami. The billionaire also bought more than $200 million worth of land in Palm Beach, Florida, on which he intends to build another home. He recently also bought a $122 million home in London, England, which was the most expensive real estate deal in that city in over ten years. 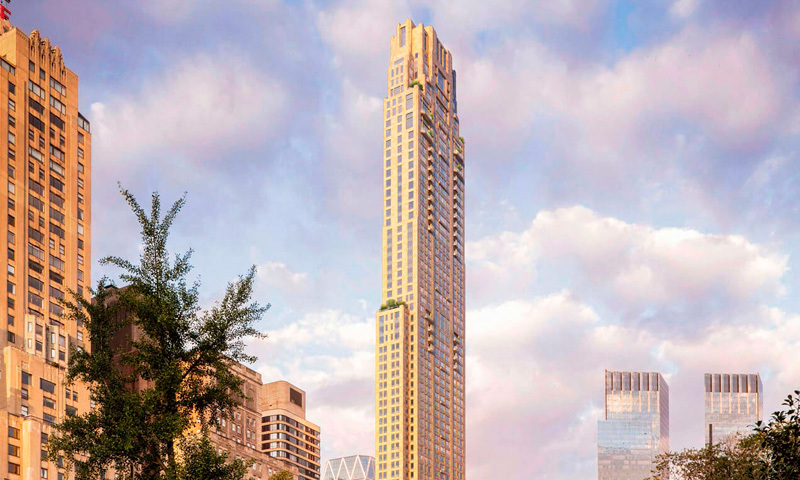 The latest penthouse overlooking Central Park is a four-floor condo within a brand new 79-story tower called 220 Central Park South. It’s said to encompass 24,000 square feet of living space. Tal and Oren Alexander of the Alexander Team at Douglas Elliman represented Griffin in the sale, which was completed last week. The Corcoran Group represented Vornado Realty Trust, the builder’s developer. Griffin’s latest purchase for the $238 million penthouse easily tops the previous record for the priciest home ever sold in the U.S. In 2014, hedge fund manager Barry Rosenstein purchased an estate in East Hampton, N.Y., for $147 million, which was the previous U.S. record.